ISLAMABAD: The government is set to increase tariff of natural gas by an average of Rs22 per unit next week to generate about Rs18 billion in additional revenue for the gas companies and a resultant windfall for the exchequer. This will be followed by a gas tariff rationalisation plan under which structural changes will be made in the prevailing gas rates involving cross subsidies for various consumer sectors and jack up rates to a stage where it could absorb the impact of LNG imports. That will mean about 100 per cent increase in rates for captive power plants and almost 300 per cent increase for gas supply to fertiliser plants. A ministerial committee comprising Finance Minister Ishaq Dar, Power Minister Khwaja Asif, Petroleum Minister Shahid Khaqan Abbasi and Industries Minister Ghulam Murtaza Jatoi is still working on tariff rationalisation. The committee on Friday discussed a mechanism to provide direct subsidy to farmers instead of providing cheaper natural gas to fertiliser plants. It said the subsidy seldom reached the end-consumer. The withdrawal of subsidy to fertiliser industry has become a political challenge in view of the coming local body elections and the ministerial committee was looking at ways to provide fertiliser to farmers at lower rates to eliminate the role of middlemen and end misuse of subsidy by fertiliser industry. A senior official told Dawn that it had been decided that a normal tariff increase would be passed on to consumers without further delay in line with directions of the Sindh High Court to meet legal and regulatory requirements. �A decision on larger tariff rationalisation plan would be taken by the political leadership in due course, perhaps with a time lag,� he said. The government is required under the Ogra law to revise gas tariff twice a year � on January 1 and July 1 � to meet revenue requirements of the two gas utilities approved by the Ogra. Prime Minister Nawaz Sharif had put on hold tariff increase until Eidul Fitr. Ogra had approved an increase of Rs8.27 per unit with effect from July 1. An intervention from the Sindh High Court on a petition from the Sui Southern Gas Company (SSGC), however, necessitated an increase of Rs22 per unit instead of Rs8.27 originally cleared by Ogra. The proposed increase will generate an additional revenue of Rs10bn for the government, Rs3.6bn for the private shareholders of the SSGC and about Rs4.4bn for the company. 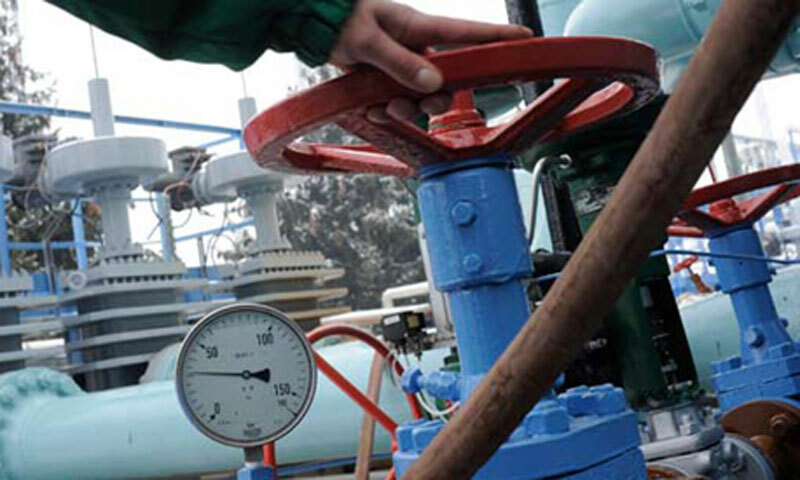 On June 1, the Ogra had estimated the average gas price at Rs413 per MMBTU (million British Thermal Unit) resulting in a cut of Rs12.12 per unit in its prescribed price. SSGC�s lawyer and director Mirza Mahmood Ahmad had challenged the Ogra decision to allow 4.5 per cent system losses in the tariff calculation before the SHC which issued a stay order and allowed continuation of 7 per cent losses in tariff calculation because of a stay order issued three years ago. It also ordered continuation of treatment of operating income as non-operating income in the matter of SSGCL. The Ogra had reduced system losses to 4.5 per cent following vacation of a similar stay by the Lahore High Court. Interestingly, former Ogra chairman Tauqir Sadiq is facing a case before the Supreme Court of Pakistan for allowing 7 per cent system losses in tariff calculation three years ago instead of 4.5 per cent. An Ogra official said that on the order of the SHC, the Ogra had to work out revised SSGCL prescribed price on the basis of 7 per cent system losses and excluding its operating income as non-operating income. As a result, the average prescribed price of SSGCL had now been increased to Rs434 per MMBTU from earlier determination of Rs413 per MMBTU, necessitating an increase of Rs21.58 per unit. The official said the ministerial committee was examining a mechanism for implementation of recommendations of an energy sector task force seeking increase in gas rates for captive power plants of the industrial sector by at least 100 per cent and that of fertiliser sector by more than 300 per cent to make best use of available resources on economic output basis. The government was of the view that unless the gas price for CPPs was brought at par with furnace oil price, the CPPs would continue to prefer gas over furnace oil because of furnace oil�s storage cost, inefficiency cost and maintenance cost. Instead of wasting gas in inefficient CPPs, the precious gas resource should be spared for big power plants having better output and positive impact on overall electricity tariff. For fertiliser plants, the task force recommended that gas rates be increased to Rs500-600 per MMBTU from its existing rate of Rs125 per unit for which the ministry of petroleum had already completed its homework. Under the plan, the task force recommended that mechanism be put in place on the basis of data available with government to provide direct subsidy to farmers instead of wasting it in the entire supply chain where major portion of subsidised gas was being consumed by the fertiliser plants without passing on the benefit to farmers or the end consumers.